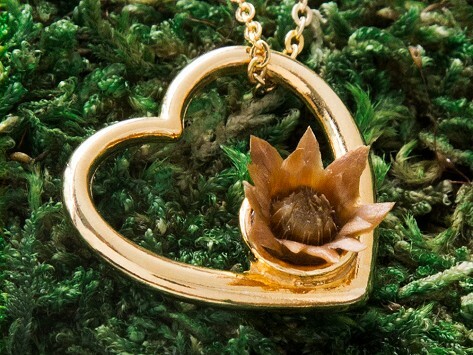 A reblooming flower necklace is the perfect way to show your love. Featuring a dried Blessing Flower, the tiny bud "blooms" with just a few drops of water—and stays open for about an hour. And it can keep blooming for up to 30 years. The wearer can give their own meaning to this everlasting blossom, whether it symbolizes growth, rebirth, new beginnings, or the constant presence of someone special. Dimensions: Chain 18"; Pendant 1" x 1"
I bought this for my mom for Mother's Day and she absolutely loved it!